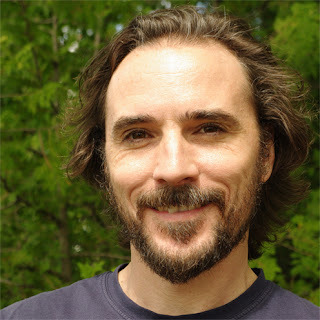 Roy W. P. Reed is an elementary school teacher in Ontario, Canada. He completed his B.F.A. and B.Ed. degrees at Queen’s University. His 20 year career has been varied. His first full time education job was teaching art and English at a private school in Ankara, Turkey. He has worked as an Education Officer at the Art Gallery of Ontario and the Agnes Etherington Art Centre. He has designed tours, and educational programming and resources for three major North American art galleries. Most of his classroom experience has been in the primary grades, but he has worked as a Subject Coach for early reading instruction. He has spent a lot of time researching patterning and how it can be used to teach other strands of mathematics. Dottoo Dots is one of the resources that came out of this research. 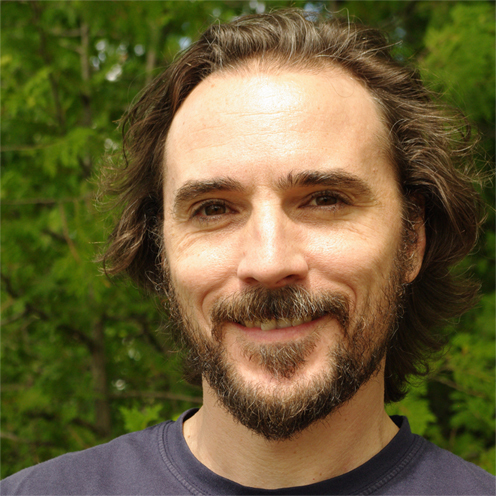 He has presented his research and the resources born from it at two Ontario Association of Mathematics Educators conferences in Toronto. As a primary school teacher, I am tasked with teaching my students the basic building blocks of mathematics. Two of these building blocks are counting and addition. There are many ways that educators go about teaching these blocks. Some use rote memorization. Others follow an inquiry model. Some use songs and games. Others use word problems. Some let you use your fingers. Others want it all done in your head. Me, I’m a little of column A, a bit of column B, and some of C, D, E, F, G, and whatever other letter ensures that my students start their summers knowing more than they did in the fall. 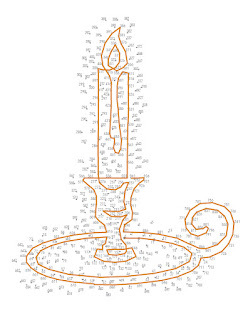 To this end, a big part of my Number Sense instruction involves dot-to-dot puzzles, believe it or not. Here’s why. 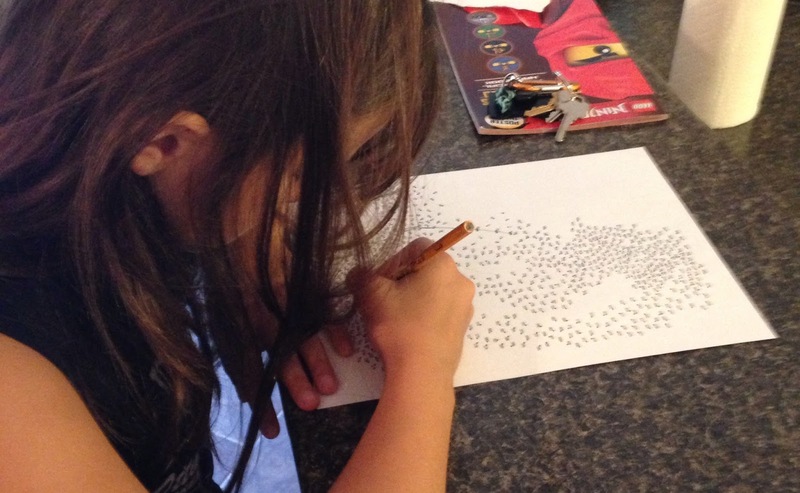 Dot-to-dot puzzles are all about the counting. You start at the first number, find the next, draw a line between them, and so on. They are essentially number lines that curve around the outside edge of playful puppies and zooming airplanes. They’re fun; therefore they are motivating. 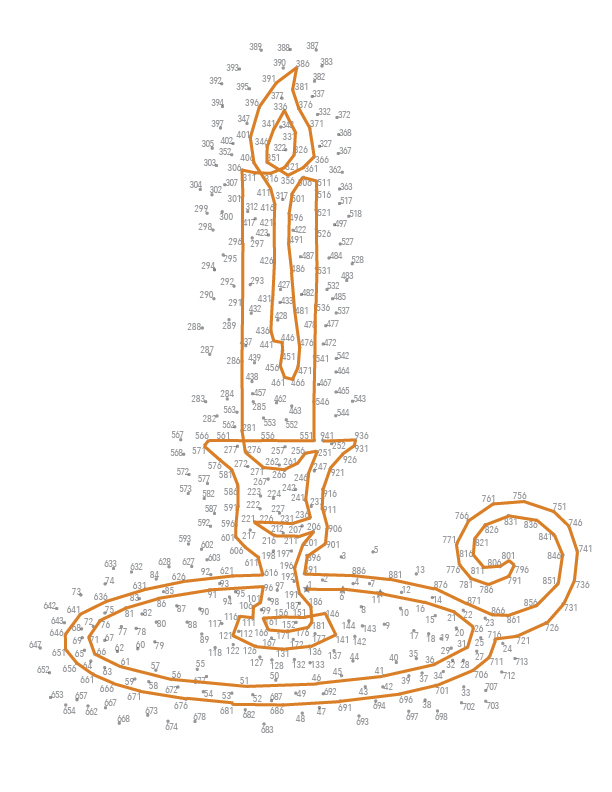 Would you rather solve a mystery picture or choral chant to 100? Solve the picture, obviously, which is great for making you want to practise your counting over and over again. They demand more from you than rote memorization. To do these puzzles, you have to know more than the name of the number. You need to know the digits and the order they appear. You might be able to count on demand, but do you know what 11 looks like? Do you confuse 13 with 31? Do you know what comes after 29 without counting all the way up from 1 again to remember it? If you don’t know these things, you could mess up the picture, and you don’t want that. So, you work at learning your numbers, and that kind of learning sticks. Dot-to-dots have a built in self-check. Why does that duck’s foot look like a bale of chicken wire? Because you don’t know the difference between a 9 and a 6. Better fix that. Of course, we generally think of dot-to-dot puzzles as something for very young, early learners. That’s generally true, as most puzzles are found in kid’s activity books, directed at pre-schoolers. However, dot-to-dots can still be effective for older students. There are many of these puzzles on the market now. They’re making a huge comeback, with “extreme” dot-to-dots, and “1000” dot-to-dots. So, it’s easy to bring bigger, more advanced puzzles, that count higher, into the classroom. 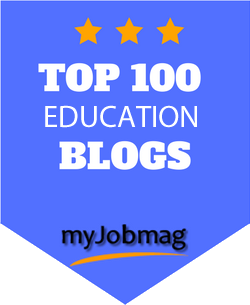 This is good, because with numbers below 100, students struggle with applying the 0-9 number pattern to the 10s column. They can’t remember that 30 comes after 29, that 70 comes after 69. Does this say 54 or 45? Here is the opportunity for that repeated practice carrying to the next ten. Even after they master numbers to 100, students get stuck on what comes after. You probably have had a student write 1004 instead of 104. Those “1000 dot” puzzles are terrific for letting students see how the numbers are structured, because they see them on the paper over and over, and over. Even the best word problems don’t provide that kind of visual cuing to such an “extreme” level. Now, I also said that I use dot-to-dots to teach my students adding. How is that? Well, adding is counting; it’s counting up. Count up by 1s, and you are adding by 1s. Do a “1000 dots” puzzle and you’ve added to 1000. Granted, it’s one painstakingly counted dot at a time. It is slow, slogging, arduous adding, but adding all the same. Of course, we want our students to be able to add with bigger numbers. We want them to eventually move away from ticking off fingers and counters one at a time. We’d like them to be able to add 7 plus 9 and other “back to basics” facts without really having to think about it. Obviously, “extreme” and “1000” dot puzzles that count by 1s won’t teach these sums, which is why I made my own series of dot puzzles. In each collection there are puzzles that count by 2s, 3s, 4s, etc., all the way to 10s. They provide practice counting by every number in the 1s column. Because they skip count by large factors, they go well into the 1000s. This means students move far beyond the rote skip chanting they normally do in class. Once they get past the numbers they have memorized, they must figure out the next numbers by adding. To further extend the counting/adding skills, many of my puzzles start at points other than zero. So, a student might skip by 3s, starting at 1, or skip by 10s, starting at 4. If students truly understand how skip counting works (i.e. they repeatedly count up or add a fixed amount to the last number said, regardless of what that number is), then they can solve these puzzles. If they don’t get this idea, then trying to solve a puzzle will help them learn it. For a final challenge, allowing a teacher to differentiate, the Dottoo Dots found on Teachers Pay Teachers have two versions of each puzzle. 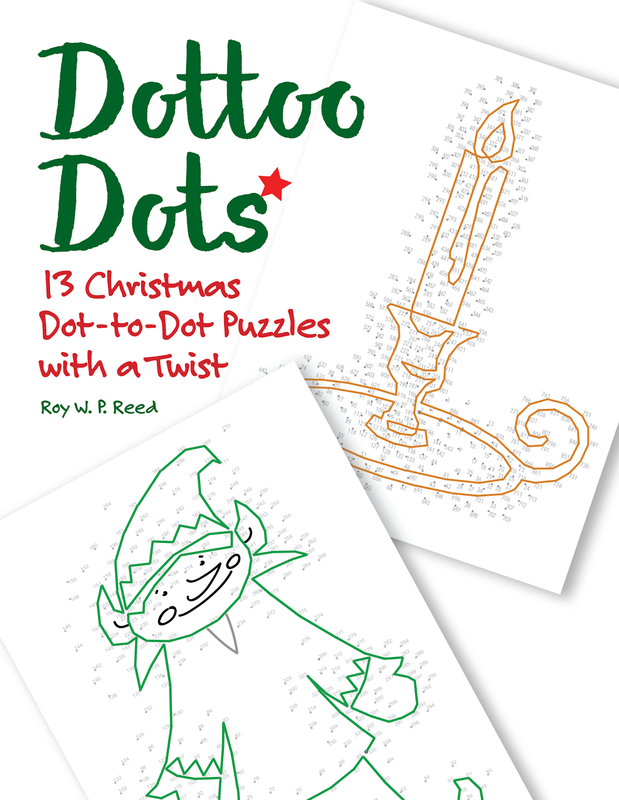 There are the basic or “easy” puzzles which are structured like traditional dot-to-dots. Join each subsequent number as you see it. And there are the advanced or “hard” versions which throw a wrench into the works. Unlike the basic puzzles, the advanced have extra dots. Dot to dots really motivate our students. They want to solve the puzzle, to find out what the picture is. They will race to see who gets it first, and compete to see who is farther along. They provide repeated opportunities to see the numbers, recognize them, name them, and observe how they are structured. Any errors in the image is an alert to a problem with the math and a clue to what kind of misconception or overgeneralization a student might have.These puzzles are a great resource that can provide many meaningful learning opportunities. To see a more detailed account of how dot-to-dots can be used in the classroom, please go to my Teachers Pay Teachers store and download the free Teacher Package. 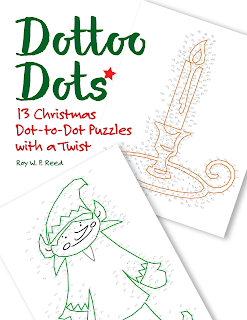 It has instructions for how to manage the puzzles, what curriculum can be taught, and descriptions of what certain types of errors might suggest about a student’s understanding.Dottoo Dots are available at Teachers Pay Teachers, Etsy, and Amazon.com.